Two new studio power packs have been announced by Broncolor, the high-end Swiss lighting manufacturer. The two models are named Scoro E, dubbed “the smart one” and Scoro S, “the unbeatable”. The latter is faster and has more features. Both offer independent power adjustment of multiple flash heads, including radio control from over 300m away using the RFS/2 system. Fast flash durations as short as 1/12,000 to 1/14,000 are achieved using “innovative cut-off technology”, while consistent colour is attributed to ECTC, or “Enhanced Colour Temperature Control technology”. Both packs let you specify a flash duration for each light head. 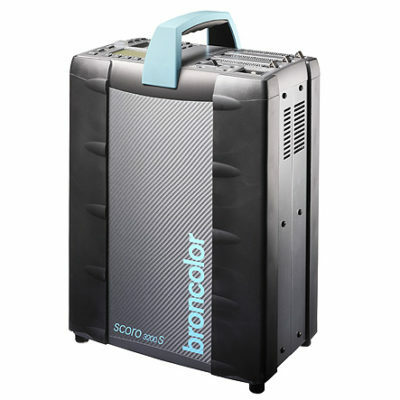 The Scoro E has its own advantages though: it’s available in black. For catalogues and technical data, visit the Broncolor web site. The manufacturer have published a promotional video giving a glimpse at the new power packs. You can watch it below. 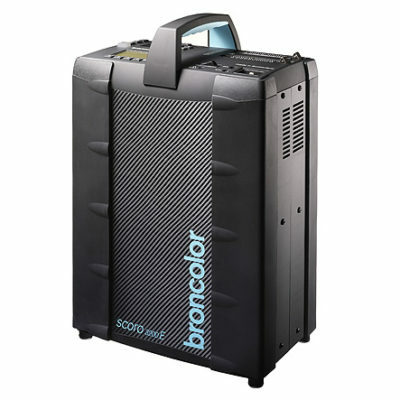 For a list of international Broncolor distributors, click here. Exact prices and release dates have not yet been published.